Study after study has shown the power of positive thinking, no more powerful than as we age. A glass-half-full attitude towards getting older leads to a longer and better life. Research shows that a positive attitude towards aging leads to a longer life. One study found people with positive perceptions lived seven-and-a-half years longer, all other things being equal. That’s double the impact of exercising regularly or maintaining a healthy weight. The happier you are about getting old, the more of it you get to do! 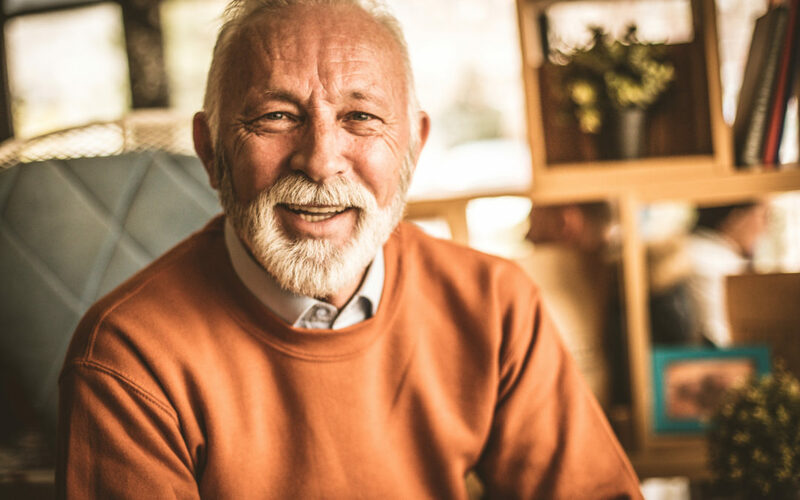 Optimistic people have better mobility as they age and are more likely to be able to perform their activities of daily living. The less concerned we are about aging, the less aged we appear. Lots of research has found that we walk faster, think sharper and remain more physically fit the more positive our outlook. It’s like we’re all little engines that could – we think we can, we think we can. And then we can! It’s incredible how much our outlook on life affects our health, but numerous studies have found that people with a positive mindset have less coronary disease. In fact, in one study, even people who had a family history of heart disease but a thumbs-up outlook were one-third less likely to have a heart attack. Similar findings have involved a wide range of maladies like strokes and even brain tumors. Other studies reveal lower cholesterol, greater ability to fight off the common cold and other benefits, just from keeping a smile on our face. The more we look forward to getting older, the stronger our immune system and the greater our ability to ward off the physical and emotional toll of stressful situations. Research shows a positive attitude better protects us against the inflammatory damage of stress, compared to people with a negative outlook. We’re also less likely to suffer negative emotions in response to a stressful event if we start with a positive outlook. Being positive isn’t a guarantee that only good things will happen to us. People with positive attitudes fall and break their hips, get hit by cars and suffer cancer diagnoses just like everyone else. But research has found that people who feel good about aging were significantly better at bouncing back from severe disability than those who don’t. The evidence is pretty clear: whether you think your later years are going to be great or miserable, you’re likely to be right. So why not think positively about your life ahead and enjoy all the benefits? Nye Health Services  offers seven communities in Eastern Nebraska and Wyoming,  structured to meet the needs of their residents from independent living to skilled nursing care. A family-owned company with a rich history of connecting with the people they serve, Nye Health Services is open for visits anytime. Call  402.753.1400  to schedule an appointment at locations in Fremont, Lincoln, South Sioux City,  Norfolk, or  Jackson Hole, or  visit  NyeHealthServices.com  for more information.